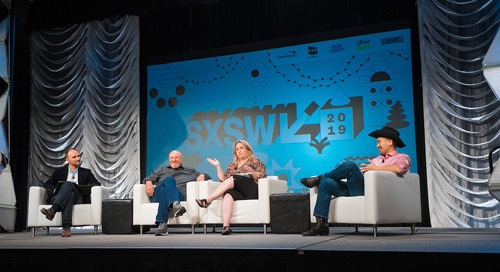 Building on an already impressive 2019 programming lineup, SXSW announces three additional Keynotes – Endeavor Chief Marketing Officer Bozoma Saint John; director, actress, producer, and activist Olivia Wilde; and Instagram co-founder Mike Krieger – along with more Featured Speakers representing industry trailblazers and creative visionaries from the world’s of tech, film, music, and culture. Among the Featured Speakers revealed today are musician and creative A$AP Rocky; journalist and author Jill Abramson; actress, writer, producer, and director Pamela Adlon; chairman and CEO of Vox Media Jim Bankoff; co-founder of the Chan Zuckerberg Initiative Priscilla Chan; Congresswoman Alexandria Ocasio-Cortez; singer-songwriter David Crosby; director, producer, and writer Cameron Crowe; author and popular podcaster Tim Ferriss; best-selling author Neil Gaiman; Nike Vice President of Creative Concepts Tinker Hatfield; United States Senator Mazie Hirono; WndrCo co-founder and Quibi founder and chairman Jeffrey Katzenberg; award-winning journalist, speaker, and author Soledad O’Brien; founder and CEO of Buzzfeed Jonah Peretti; Quibi CEO Meg Whitman; Bird Founder and CEO Travis VanderZanden; actor Henry Winkler, and more. 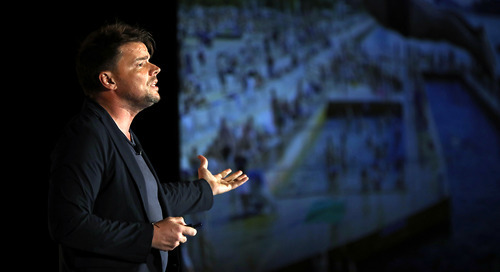 “The breadth and diversity of the Featured Speakers make the 2019 event an even stronger and more compelling place for creatives, innovators, and storytellers alike,” said Hugh Forrest, Chief Programming Officer. 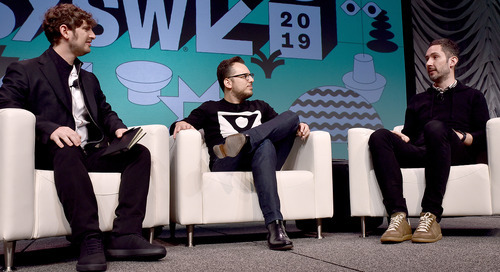 Spanning 25 Tracks, the SXSW Conference programming is as unique and expansive as the taco combinations you will discover March 8-17 at SXSW 2019. Where else can you explore cryptocurrency markets and then take an acting class from Henry Winkler? Register to attend through Friday, January 18 for great savings now as you await new discoveries this March. Learn more about the latest speaker additions below and add these events to your custom SXSW Schedule. Bozoma Saint John (Convergence) — Bozoma Saint John is Chief Marketing Officer at Endeavor, a global leader in entertainment, sports, and fashion operating in more than 30 countries with a portfolio of companies including WME, IMG, and UFC. In her role, Saint John focuses on driving marketing efforts across Endeavor’s growing portfolio, including on behalf of Endeavor Global Marketing clients and premium brands. Collectively, the Endeavor network specializes in talent representation and management; brand marketing, sponsorship and licensing; media development, sales and distribution; event operation and management; and sports training and league development. Olivia Wilde (Film) — Olivia Wilde is a modern-day Renaissance woman with a resume ranging from director, to actress, producer, and activist. 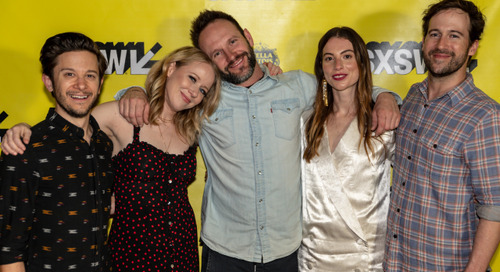 Her directorial film debut Booksmart will release wide on May 24th of this year. Wilde has starred in a range of award-winning and critically acclaimed films including Meadowland, Her, Rush, and Drinking Buddies and has worked with some of the biggest directors in Hollywood including Martin Scorsese, Spike Jonze, and Reed Morano. Additionally, she has directed music videos for The Red Hot Chili Peppers and Edward Sharpe and the Magnetic Zeros. 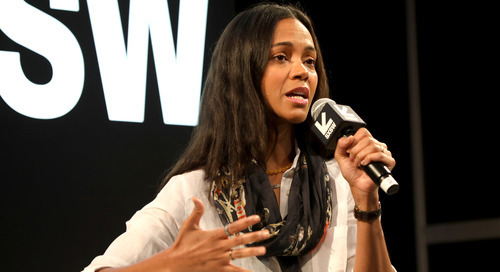 Earlier this year, she was named one of the “Ten Directors To Watch” by Variety. These speakers join previously-announced Keynotes Jessica Brillhart (Film), Joseph Lubin (Interactive), Shirley Manson and Lauren Mayberry (Music), Marti Noxon (Film), and Kevin Systrom with Josh Constine (Interactive). Jill Abramson and Jonah Peretti (Media & Journalism) – Jill Abramson is a journalist who spent the last 17 years in the most senior editorial positions at The New York Times, where she was the first woman to serve as the Washington Bureau Chief, Managing Editor, and Executive Editor. Abramson is also an author of Merchants of Truth: The Business of News and the Fight for Facts, and co-author of Strange Justice: The Selling of Clarence Thomas, a National Book Award finalist. Jonah Peretti is Founder and CEO of Buzzfeed, the leading tech-powered digital media company that provides a pioneering mix of breaking news, entertainment, and shareable content. Under Peretti’s leadership, BuzzFeed has grown worldwide and generates more than 9 billion monthly content views, with writers and producers creating shareable and entertaining content, and reporters covering everything from politics to technology to in-depth investigations. 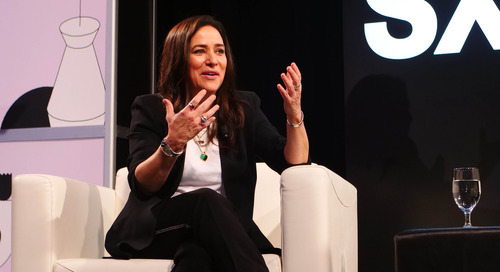 Pamela Adlon (Entertainment Influencers) – Pamela Adlon is an Emmy®-winning, critically-acclaimed actress, writer, producer, and director. Currently, she is the writer, director, executive producer and star of the award-winning FX comedy series Better Things. This semi-autobiographical series won a 2016 Peabody Award and was named one of the “Best Television Shows of 2017” by The New York Times, Variety, The Hollywood Reporter, Slate, Vox, IndieWire, and NPR as well as “TV Show of the Year” by TIME. For her role, Adlon received a 2017 and 2018 Emmy Award nomination for “Outstanding Lead Actress in a Comedy Series” and a 2018 Golden Globes® nomination for “Best Actress in a Television Series Musical or Comedy” as audiences celebrated her raw, insightful voice and unapologetic, elevated commentary on motherhood, feminism, and the complexity of modern life. The series returns to FX for its third highly-anticipated season February 28. A$AP Rocky and Gorden Wagener (Design) – A$AP Rocky is a cultural beacon that continues to move past the status quo and lead the pack by continuing to evolve, innovate, and disrupt the industry. With several accolades under his belt including being the first black male to ever be named the face of Dior, having his sophomore studio album AT.LONG.LAST.A$AP go platinum, a top 5 spot on opening weekend for his starring role in the critically-acclaimed and indie darling film Dope, and becoming a Creative Director for MTV and Viacom Velocity, he continues to prove that he’s not just a rapper that follows the status quo, but a creative force to be reckoned with. Gorden Wagener is the Chief Design Officer for Daimler AG. He joined Mercedes-Benz in 1997, and he was appointed as first Chief Design Officer of Mercedes-Benz Cars, Vans & Daimler Trucks at Daimler AG in 2016. Jim Bankoff and Soledad O’Brien (Media & Journalism) – Jim Bankoff is the Chairman and CEO of Vox Media, the pioneering media company known for building modern media properties and the platforms that enable them. Vox Media’s editorial networks and businesses include SB Nation, Eater, The Verge, Vox, Curbed, Recode & Code Conferences, Polygon, Vox Creative, Concert, Chorus, Vox Entertainment, and the Vox Media Podcast Network. Soledad O’Brien, an award-winning journalist, speaker, author, and philanthropist, is founder and CEO of the Starfish Media Group. She anchors and produces Matter of Fact with Soledad O’Brien2, reports for HBO’s Real Sports and has authored two books. She has won numerous awards, including three Emmys, the George Peabody award, an Alfred I DuPont prize and the Gracie. Adam Bierman (Cannabusiness) – Adam Bierman is chief executive officer and co-founder of MedMen Enterprises. Bierman is an outspoken advocate of institutional practices, professional standards, and clear and reasonable regulations that will take the cannabis industry to its next phase. In 2010, Bierman and business partner Andrew Modlin started MedMen. The two visionary entrepreneurs saw not just a tremendous business opportunity in the growing legalization of marijuana, but a chance to re-define society’s relationship with cannabis. MedMen is one of the nation’s largest financial supporters of progressive marijuana legalization efforts at local, state, and federal levels. Priscilla Chan (Social & Global Impact) – Priscilla Chan is co-founder of the Chan Zuckerberg Initiative (CZI), a philanthropic organization she started with her husband, Mark Zuckerberg. CZI is a new kind of philanthropy that’s leveraging technology to help solve some of the world’s toughest challenges – from eradicating disease, to improving education, to reforming the criminal justice system. 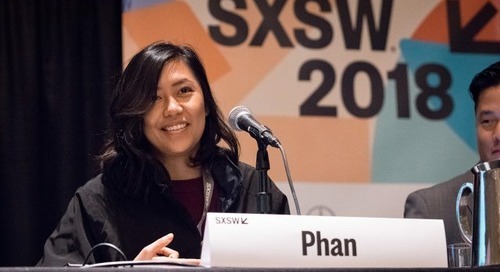 As a pediatrician and former teacher, Chan’s work with patients and students in communities across the Bay Area has informed her desire to make learning more personalized, find new paths to manage and cure disease, and expand opportunity for more people. She is also the founder of The Primary School, which integrates health and education and serves children and families in East Palo Alto and the Belle Haven neighborhood in Menlo Park, California. David Crosby and Cameron Crowe (Music Industry & Culture) – In the last four years alone, David Crosby has released three acclaimed solo albums that prove his musical passion to be as powerful as ever. With Here If You Listen, the 77-year-old singer/songwriter continues that singular creative streak, delivering one of his most joyfully adventurous albums yet in a career that spans six auspicious decades. Cameron Crowe is an award-winning writer and director whose credits include such films as Fast Times at Ridgemont High, Say Anything…, Jerry Maguire, Almost Famous, and more. His documentary work includes The Union, a making of the Elton John-Leon Russell record of the same name and Pearl Jam Twenty. His latest documentary project, which he produced, is a revealing and deeply personal documentary exploring the life and creative renaissance of music icon David Crosby. 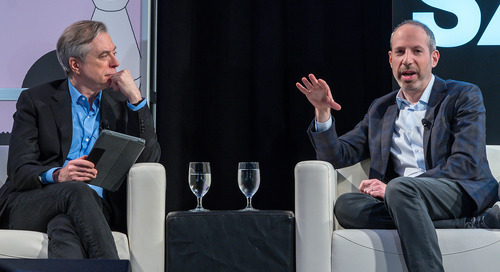 David Feinberg and Clay Johnston (Health & MedTech) – David Feinberg currently heads up Google’s health efforts. Previously, Feinberg was president and CEO of Geisinger, one of the nation’s most innovative health services organizations. While at Geisinger, Feinberg oversaw 13 hospital campuses, a 600,000-member health plan, research centers, and various initiatives aimed at better engaging patients around their health. Clay Johnston is the inaugural dean of Dell Medical School and vice president for medical affairs at The University of Texas at Austin. His vision is to create a new model for academic medicine that accelerates innovation to improve health and reduce inefficiencies in health care. Designing for Films at Pixar Animation Studios Featured Session (Making Film & Episodics) – Join Deanna Marsigliese, Character Art Director; Josh Holtsclaw, Graphics Art Director; and Paul Abadilla, Sets Art Director, as they share their artwork and approach to designing for animated films at Pixar Animation Studios. Through their own respective disciplines, they’ll share insight about how to solve creative challenges and highlight some examples of how an idea gets translated from a design sketch, and onto the screen. They will also discuss about how they support and advocate for diversity and inclusion in their films. Tim Ferriss (Health & MedTech) – Tim Ferriss has been listed as one of Fast Company’s “Most Innovative Business People” and one of Fortune’s “40 under 40.” He is an early-stage technology investor/advisor (Uber, Facebook, Shopify, Duolingo, Alibaba, and 50+ others) and the author of five #1 New York Times and Wall Street Journal bestsellers, including The 4-Hour Workweek and Tools of Titans: The Tactics, Routines, and Habits of Billionaires, Icons, and World-Class Performers. The Observer and other media have called Ferriss “the Oprah of audio” due to the influence of The Tim Ferriss Show podcast, which is the first business/interview podcast to exceed 100 million downloads. Ferriss will join the previously announced conversation with Michael Pollan. Neil Gaiman (Entertainment Influencers) – Neil Gaiman is the best-selling author and creator of books, graphic novels, short stories, film, and television for all ages, including Neverwhere, Coraline, The Graveyard Book, The Ocean at the End of the Lane, The View from the Cheap Seats and the Sandman comic series. His fiction has received Newbery, Carnegie, Hugo, Nebula, World Fantasy, and Will Eisner Awards. 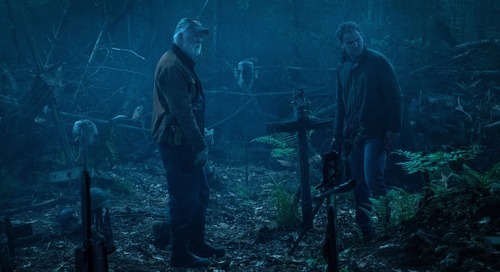 American Gods, based on the 2001 novel, is now a critically acclaimed, Emmy-nominated TV series, and he has written and is the showrunner for the forthcoming mini-series adaptation of Good Omens, based on the book he co-authored with Terry Pratchett. In 2017, he became a Goodwill Ambassador for UNHCR, the UN Refugee Agency. Originally from England, he lives in the United States, where he is a professor at Bard College. Tinker Hatfield and Scott Dadich (Design) — Tinker Hatfield is the Vice President of Creative Concepts at Nike where he oversees Nike shoe designs and Nike’s Innovation Kitchen. In addition to working with Michael Jordan each year, Hatfield currently creates specialized Nike athletic products for champion athletes including LeBron James, Kobe Bryant, Laird Hamilton, Gabrielle Reece, Renaud Lavillenie, and numerous track and field athletes and entertainers including Justin Timberlake. Scott Dadich is founder and Co-CEO of Godfrey Dadich Partners, a design and strategy firm that creates narratives — from documentary films and long-form journalism to corporate strategies and campaigns. In 2018, Dadich co-founded Majordomo Media, a new kind of entertainment and media company with renowned chef David Chang. He is also the creator and executive producer of the Netflix series Abstract: The Art of Design. Senator Mazie Hirono and Guy Kawasaki (Cities, Government & Politics) – Mazie K. Hirono was elected to the Senate in 2012 and sworn in as Hawaii’s first female senator and the country’s first Asian-American woman senator. Hirono serves on the Committee on Armed Services, the Committee on Energy and Natural Resources, the Committee on the Judiciary, the Committee on Small Business and Entrepreneurship, and the Committee on Veterans’ Affairs. Guy Kawasaki is the chief evangelist of Canva, an online graphic design tool. He is a brand ambassador for Mercedes-Benz and an executive fellow of the Haas School of Business (UC Berkeley). He is also author of The Art of the Start 2.0, The Art of Social Media, Enchantment, and nine other books. George Hotz (Intelligent Future) – George Hotz, also known as geohot, is an American hacker and creative consumer known for unlocking the iPhone, allowing the phone to be used with other wireless carriers. Afterward, he developed many of the early jailbreak tools for iOS, such as limera1n and bootrom exploit. He is an alumnus of the John Hopkins Center for Talented Youth program and briefly attended both Rochester Institute of Technology and Carnegie Mellon University. In September 2015, Hotz began working on his own AI startup called comma.ai. Hotz has received much attention in mainstream media, including appearances on the Today Show, Fox, CNN, NBC, and more. Jeffrey Katzenberg and Meg Whitman with Dylan Byers (Media & Journalism) – Jeffrey Katzenberg is a co-founder and managing partner of WndrCo, a holding company that invests in, acquires, develops, and operates consumer technology businesses for the long term. He is also the founder and chairman and Meg Whitman is CEO of Quibi, which brings together the best of Silicon Valley and Hollywood to create the first entertainment platform built for easy, on-the-go mobile viewing. Quibi will allow today’s leading studios and creative talent to tell original stories in an entirely new way. Dylan Byers is the senior media reporter for NBC News & MSNBC and the author of Byers Market, a daily newsletter on the business, politics, and culture of media. Daniel Kahan and Valerie Szczepanik (Blockchain & Cryptocurrency) – Daniel Kahan is an attorney in Morrison & Foerster’s Corporate Department. His practice focuses on venture capital and private equity investments, mergers and acquisitions, divestitures and spin-offs, securities offerings, and governance matters. He represents entrepreneurs, investors, and acquirers across a range of sectors, including fintech and blockchain. Valerie Szczepanik is Head of the Strategic Hub for Innovation and Financial Technology at the U.S. Securities and Exchange Commission (SEC). She is also the Senior Advisor for Digital Assets and Innovation and an Associate Director for the SEC’s Division of Corporation Finance. Before that, she served as Assistant Director in the Division of Enforcement’s Cyber Unit. Trevor Paglen and Kate Crawford (Intelligent Future) – Are Artificial Intelligence and Machine Learning really the right metaphors to address training sets that feed into automated processes? Join researcher, academic, and author Kate Crawford and artist Trevor Paglen as they look into the production of training data and uncover the historical origins, labor practices, infrastructures, and epistemological assumptions, with biases and skews built into them from the outset. Lola Plaku (Music Industry & Culture) – With more than ten years of experience working behind the scenes in the music industry, Lola Plaku’s resume is both extensive and multifaceted. Formerly a music journalist for Canada’s hip-hop music scene, the Toronto native made a name for herself after launching her blog, iLuvLola. This led her to a role in promotions at Maxamus Entertainment followed by an online marketing position at CP Records. Plaku was passionate about breaking U.S. talent in the Toronto market and eventually branched out into concert production, working with The Weeknd, French Montana, Travis Scott, Kehlani, Big Sean, and A$AP Rocky, among others. She then transitioned into working with French Montana in a full time role. Tara Razavi (Making & Marketing Music) – For over a decade, Tara Razavi’s adventurous aesthetic and clever imaginings have made a lasting impact on the music video, commercial, film, and event worlds. Razavi’s content has reached audiences worldwide with over 2 billion cumulative views on YouTube alone. The California native and award-winning producer has worked with some of the biggest names in music, including Jay Z, Jennifer Lopez, Justin Bieber, Rihanna, Tyler the Creator, Travis Scott, John Legend, and more. Razavi founded Happy Place, Inc in 2008 to help make her portion of the entertainment industry a happy-as-hell place to be. Happy Place, is a creative production agency based in Los Angeles with satellite offices in New York, Atlanta, and Miami. Creator Credits: Providing the Missing Links Featured Session (Music Industry & Culture) – Björn Ulvaeus is a Swedish songwriter, producer, a member of the Swedish musical group ABBA, and co-composer of the musicals Chess, Kristina från Duvemåla, and Mamma Mia!. He co-produced the film Mamma Mia! with fellow ABBA member and close friend Benny Andersson. Niclas Molinder is the CEO of Auddly, the global hub for authoritative pre-registration music metadata sourced from creators. Molinder founded Auddly in 2014 with Max Martin, Björn Ulvaeus of ABBA and manager Ash Pournouri. Auddly is rapidly setting the standard for how music creators, their collaborators, and their representatives are identified along with accrediting their contributions in compositions and recordings. Travis VanderZanden and Josh Rasmussen (Tech Industry & Enterprise) – Travis VanderZanden is the Founder and CEO of Bird. His lifelong admiration of his mother, who drove a public bus for over 30 years, inspired him to revolutionize last-mile transportation. VanderZanden has always been at the forefront of innovative transportation solutions, having served as Chief Operating Officer of Lyft and Vice President at Uber. He also founded Cherry, an on-demand car washing company, that was acquired by Lyft, and was Chief Revenue Officer at Yammer, which was acquired by Microsoft. Josh Rasmussen is the CEO and Co-Founder of Monday Motorbikes. His background in managing teams for technology firms and automobile companies, Dodge and Chevrolet, provide Rasmussen with unique insights into how transportation and technology revolutionize the way we travel around the world. Henry Winkler Acting Workshop Featured Session (Entertainment Influencers) – Henry Winkler co-stars as acting teacher Gene Cousineau on the new HBO dark comedy, Barry, for which he received an Emmy Award and Critics Choice Award for Best Supporting Actor opposite series star, Bill Hader. Winkler has enjoyed over four decades of success in Hollywood and continues to be in demand as an actor, producer, and director. Join Henry Winkler as he leads an entertaining and insightful acting workshop in front of an audience. Guitars and More: Creating New Sounds with Tech Featured Session (Making & Marketing Music) – Join Fender Musical Instruments Corporation CEO Andy Mooney, Ableton North America Managing Director Tony McCall; artist Elise Trouw; and award-winning broadcast journalist, musician, author, deejay, and longtime NPR commentator Meredith Ochs for a session that will explore the different ways musicians are adopting new music technology in live/recorded performance, while still embracing traditional musical instruments, like guitar, creating a marriage of classic and progressive technological tools. Live performance is evolving. Technology has ushered in a one-man-band live performance format: one guitar, looper and artist on stage playing to thousands. While the access to musical technology has evolved and become more widespread, the product design behind the guitar keeps getting better, too. The result? A stronger connection between fans and bands than ever before, and great new music. Willy Woo with Nolan Bauerle (Blockchain & Cryptocurrency) – Willy Woo is an entrepreneur, advisor, and investor in seed-level technology ventures, but best known publicly as an independent crypto-asset analyst. Creator of the NVT ratio, much of his work is available on his Twitter feed which is regularly cited as a source for publications covering crypto-asset markets. Nolan Bauerle is the Director of Research at CoinDesk. His work with bitcoin began in 2012 while he was researching money laundering. Since then, he became a student of cryptography, decentralized systems, crypto economics, and the theory of the firm. 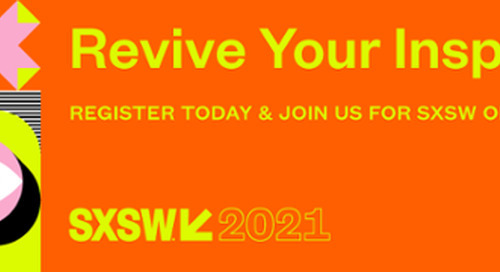 Grab your seat at the SXSW Conference to experience the exciting programming announced today! 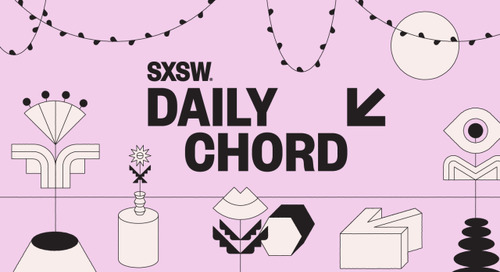 Discover even more during 10 days of SXSW sessions, showcases, screenings, exhibitions, competitions, and beyond from March 8-17 in Austin, TX. 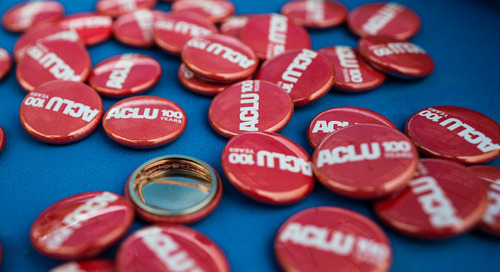 Catch big savings off the walk-up badge rate when you register before January 18, 2019 at 11:59pm PT. Tune in January 16 as we roll out the red carpet for part one of 2019 SXSW Film Festival lineup. 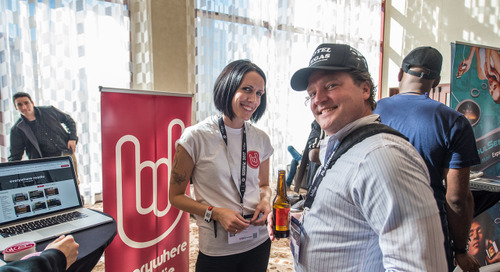 Explore the continuously updated SXSW Schedule to plan your March event. 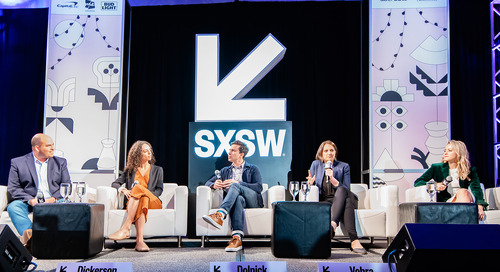 The post SXSW Keynotes Bozoma Saint John, Olivia Wilde, Mike Krieger & More Featured Speakers Added appeared first on SXSW.